June 23, 2016 – NOAA’s first space weather satellite, DSCOVR, has completed instrument validation and will go operational next month, when it will take over the role of monitoring potentially damaging space weather storms as they approach Earth. Beginning at 10:00 a.m. MDT EDT (1600 UTC) on Wednesday, July 27, 2016, SWPC will start using data from NOAA’s Deep Space Climate Observatory (DSCOVR) spacecraft in its operations. DSCOVR will bring improved measurements and higher quality data than currently available, giving forecasters better information with which to issue critical space weather warnings and alerts. DSCOVR’s primary space weather sensors are the Faraday Cup plasma sensor, which measures the speed, density and temperature of the solar wind, and a magnetometer, which measures the strength and direction of the solar wind magnetic field. Together, the instruments provide forecasters with the necessary information to issue geomagnetic storm warnings. Data from DSCOVR’s instrumentation will provide better information to forecasters and allow existing and future forecast models to run more reliably. The improvements also will open new opportunities for researchers to better understand coronal mass ejections along with high-speed solar wind and shocks, and to find ways to improve space weather forecasting. DSCOVR data will be used in a new forecast model – the Geospace Model – due to come on line this year. The Geospace Model will enable forecasters to issue regional, short-term space weather forecasts for the first time, including predictions on the timing and strength of a solar storm that will impact Earth. 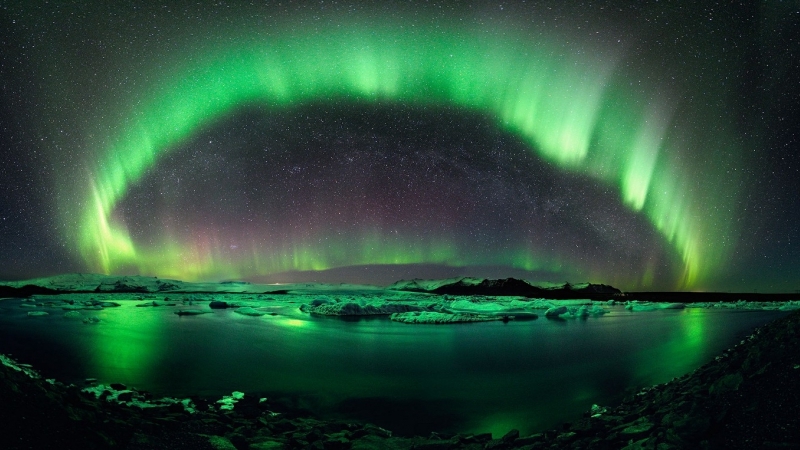 Currently, the Space Weather Prediction Center issues a single forecast for the entire planet. DSCOVR replaces NASA’s aging research satellite, the Advanced Composition Explorer, also known as ACE. DSCOVR was launched on February 11, 2015, and reached final orbit on June 8. It is located one million miles from Earth, where the gravitational influence of the sun and the Earth are in equilibrium. At this special location the spacecraft always remains between the Sun and the Earth where it serves as a distant early-warning sentinel, like a tsunami buoy in space, to alert NOAA of incoming eruptions from the Sun. Data from DSCOVR, which will be available to the public in real-time online. From that page, users can download data, create plots, and find links to other ways to access real-time and archived data. These links are currently populated with NASA ACE data. Beginning July 27th, the links will be populated with data from DSCOVR. DSCOVR will allow forecasters to provide space weather warnings and alerts up to an hour before a surge of particles and magnetic field generated by solar storms hit Earth. The Space Weather Prediction Center (SWPC) provides forecast products and data to infrastructure operators and the general public through its email alert service to more than 47,000 subscribers. Owners or operators of potentially vulnerable technologies can then take steps to protect their equipment or services. DSCOVR is a partnership between NOAA, NASA and the U.S. Air Force. 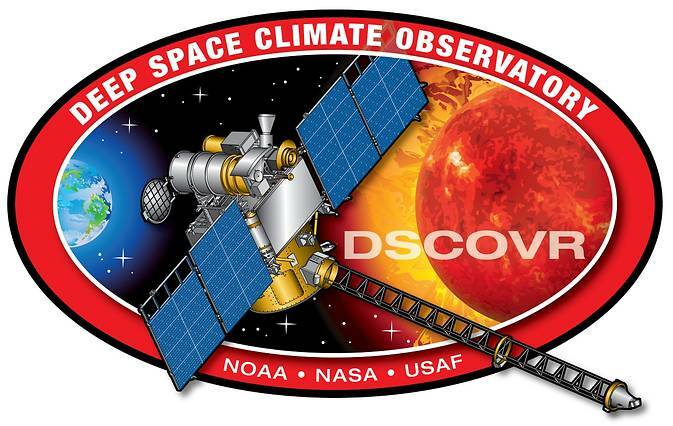 NOAA is operating DSCOVR from its NOAA Satellite Operations Facility in Suitland, Maryland, and will process the space weather data at SWPC in Boulder, Colorado. SWPC is the nation’s official source for space weather forecasts, watches, warnings, and alerts, and operates 24-hours a day, seven days a week. SWPC is one of nine centers under NOAA’s National Centers for Environmental Prediction. 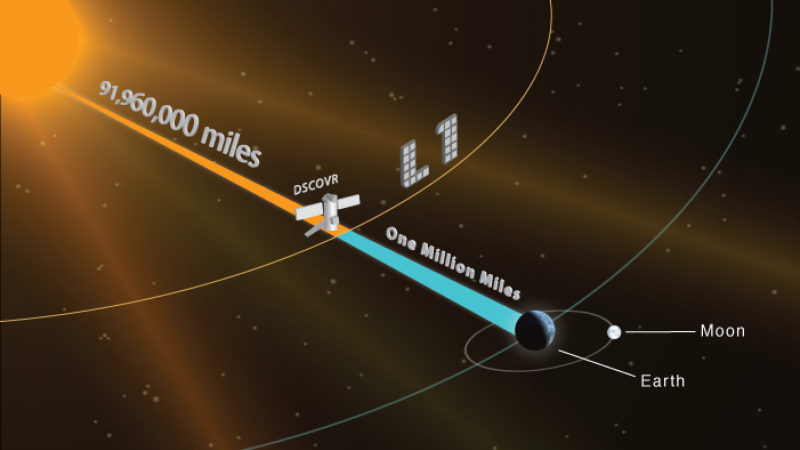 In addition to its space weather instrument suite, DSCOVR is flying two NASA Earth-observing instruments, known as NISTAR and EPIC, which will gather a range of measurements, from ozone and aerosol amounts to changes in Earth’s radiation. Ball Aerospace & Technologies Corp. of Boulder, Colorado, developed the NISTAR advanced radiometer instrument working with the National Institute of Standards and Technology (NIST) and the Scripps Institution of Oceanography. Daily views of Earth from NASA’s Earth Polychromatic Imaging Camera (EPIC) can be seen at http://epic.gsfc.nasa.gov.